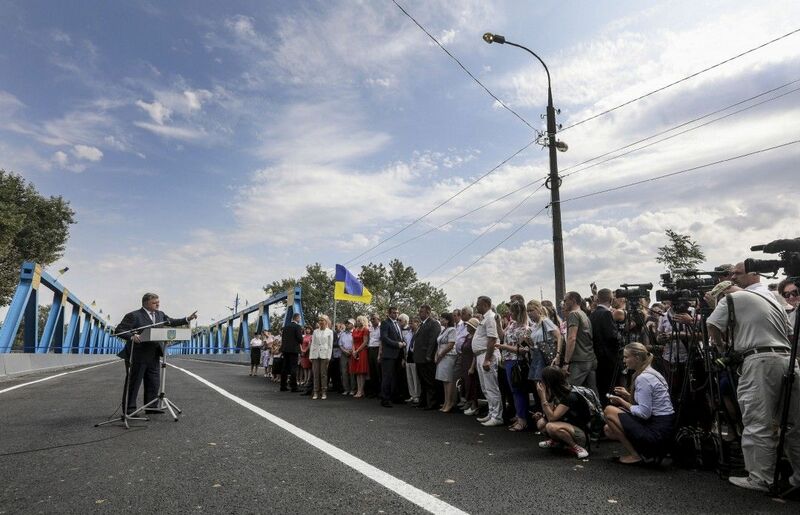 President of Ukraine Petro Poroshenko during his Thursday visit to Severodonetsk said he intended to submit to the UN General Assembly next month the idea of introducing a peacekeeping mission to Donbas, an UNIAN correspondent reported. The president recalled that on during the previous telephone conversation between Normandy Four leaders July 24 he stressed the need to deploy a UN peacekeeping mission to Donbas with the mandate of the UN Security Council. "This is a guarantee that in the shooting will stop in Donbas, a guarantee that Russia will cease its supplies to militants and withdraw its regular units, remove weapons that they have brought in to kill Ukrainians," said Poroshenko. Read alsoPoroshenko asks Tillerson to revisit UN peacekeepers deployment in Donbas after OSCE incident"As soon as Russia withdraws its troops, we have neither cause for conflicts, nor reason to debate," the head of state said. "The issue of the UN peacekeeping mission and the OSCE's armed mission is moving forward rather hard. Everything is being hindered by Russia's categorical unwillingness to reach peace in Donbas; moreover, their categorical reluctance to leave Ukraine alone. But I'm sure that dripping water hollows out stone, that's why I'm going to present the idea about peacekeepers at the next month’s session of the UN General Assembly in New York," said Poroshenko.